Made from 3mm MDF. 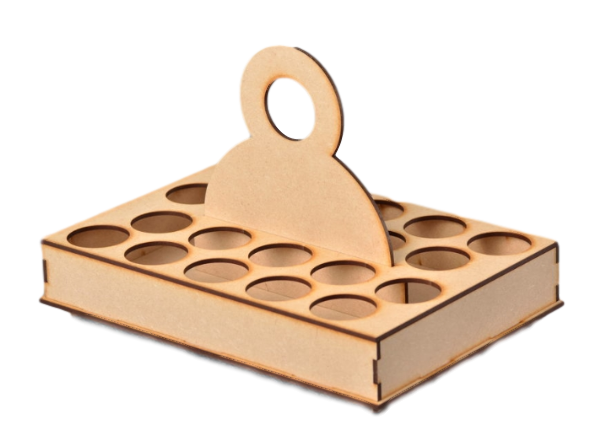 This easy to assemble slot & tab Ink Bottle Holder kit is designed to hold 20 bottles with a diameter not exceeding 39mm. Ideal for Distress Spray Stains, Dylusion Sprays and Starlight Paints.